Visit the official website of IMU CET and click on the link 'Download Rank Card'. Enter the Roll Number and click on the link "Result". Results: Result of JIPMER 2019 will be declared on official websites on 19th June 2019. Candidates can visit website to check their results. Merit List: If there are 2 shifts in the exam then students' score is normalized and based on normalization each student will have a percentile score. Based on this percentile score Merit List will be prepared. 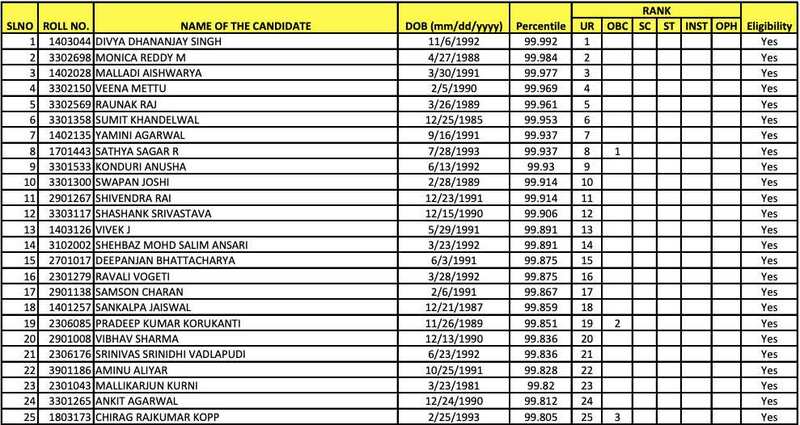 If candidates percentile score is lower than minimum percentile, then candidate will not be considered for admission and their names will NOT be included in Merit List. Normalization: Normalization is a process for ensuring that students are neither advantaged nor disadvantaged by difficulty of questions. First, the Percentile Score for each candidate (Shift Wise) will be calculated. Step 2: Find link for relevant information in notification panel i.e. ‘JIPMER 2019 Results. Step 3: Enter Registration ID and Date of Birth in provided blank fields. Step 4: Click on ‘Next’ after verifying details carefully. Step 5: JIPMER 2019 Results will be displayed on screen. Step 6: Download and Print the same for future reference. Merit Ranking would be based on percentile score after Normalization (if two shifts held). Only those NRI / OCI candidates who opt for admission under Self Financing Scheme at the time of application itself will be considered for the merit list to 6 Seats for NRI/ OCI status candidates. No E-Mail or Written communication will be entertained in this regard. The percentile score of each Candidate in shift wise will reflect what Percentage of Candidates have scored below that Candidate in Entrance Examination in shift wise. By this way, percentile score (up to 7 decimal places) will be calculated separately for each of the five subjects (Biology, Physics, Chemistry, English Language and Comprehension & Logical and Aptitude Reasoning) and Total. Percentile of Total shall not be an aggregate or average of Percentile of individual subjects. Steps to download the Result for JIPMER MBBS 2017. What are the steps to download the results for JIPMER MBBS 2017? The announcement of the result will be made at the official website of JIPMER Candidates must check the merit lists (category wise) to know whether they have qualified in the JIPMER MBBS exam or not. Go to the official website of JIPMER -Jawaharlal Institute of Postgraduate Medical Education and Research. Candidates need to fill up all the information like roll number, father’s name, name. Click on the submit button to view your JIPMER MBBS Entrance Exam result. Cut Off for JIPMER MBBS 2017. What is the Cut-Off for the JIPMER MBBS Examination 2017? All General candidates securing less than minimum percentile 50, general OPH candidates less than minimum percentile 45, Scheduled Caste / Scheduled Tribe / Other Backward Classes securing less than minimum percentile 40 in aggregate in the subjects taken together in the Entrance Examination were not considered for admission to the Institute and their names will not be included in the merit list. Results for JIPMER MBBS 2017. The JIPMER MBBS Entrance Exam-2017 Result will be declared in the second week of June 2017. 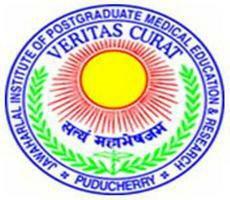 The students who have passed the JIPMER MBBS entrance test must also look for the merit list published by the examining authority. The admission will be granted on the basis of rankings secured by the qualifiers. The merit list will be prepared separately for different categories. Students who fail to secure the minimum merit list will not be considered for admission. What is the cut-off for JIPMER MBBS 2017 examination? Scheduled Caste / Scheduled Tribe / Other Backward Classes is minimum percentile 40 in aggregate in the subjects taken together in the Entrance Examination. When will be the results be announced for JIPMER MBBS Exam 2017? The results for JIPMER MBBS Exam 2017 will be declared in the second week of June 2017. What is the JIPMER MBBS qualifying marks? What are the steps for downloading the results for JIPMER MBBS 2017?